One month. That's how long I've been away. And yet it feels as though I left well before my month long absence. It was a long time coming. And yet I kept barreling down the path, full-steam ahead, ignoring every warning sign and cautionary tale about "blogger burnout" that I had ever read. It started around the same time that I began trying to turn my blog into a business. I spent so much time obsessing about pageviews and bounce rates that I started to lose myself. I started to lose my voice. And that is the kiss of death to a blogger. Once upon a time my blog was my happy place. It was a reprieve. In a sense, it was my home. But then I started getting a barrage of emails. Every day. Someone wanting something more from me. "Write this post for us." "Be our ambassador." "Do this for us in exchange for exposure." All day, every day. And at first it was hard to turn it off. Then it was impossible to turn it off. Every moment of every day became a "bloggable" moment. Instead of living life for myself and my family, I was living it to try to capture that perfect picture to go with my post, to try to prove to more sponsors that I was somehow worthy of being named an ambassador for their company. It was to the point where my personal posts were nothing more than a strategic move to make sure that I maintained an acceptable ratio of personal posts to sponsored content. It's a frustrating thing when you realize that the companies your working with think of you as nothing more than a dotcom. When I think of all the family vacations I spent, tucked away in a corner, trying to make sure I had my post posted before a deadline, when I think of all the nights I fell asleep on the couch, because I had to crank out more content, when I think of all the times I could have spent with my daughter, but instead spent hunched over my computer, attempting to prove something to the blogging powers that be, I feel incredibly sad. Those are all moments that I will never get back. Those are moments that my daughter will never get back. When I think of all of that, I realize, it's not worth it. Not even a little bit. So what does that mean? It means that I have to slow down. It's time for me to be present in my life outside of the blogosphere. I still want to be here, but not because I have a deadline to meet or standards to uphold. This time I want to be here for me. Not to say that I'll never do another sponsored post, or partner with another company. I still intend to work, perhaps a bit more sparingly, but I will be a bit more particular about the companies I choose to work with. I want relationships. Genuine, true relationships. 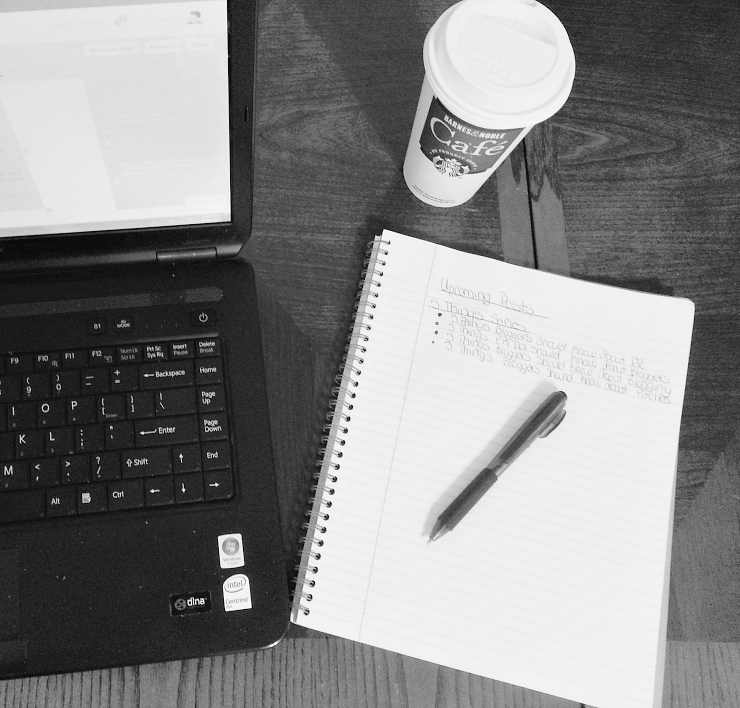 My need for the business side of blogging arose out of a need to compete the others like me who had recently graduated with a degree in Communications. Luckily for me, I have an amazing job within the industry. One that is growing way more rapidly than anticipated. But in the best way possible. That pressure that I felt to profit off of my blog has since whittled away. Now, I can return to my roots. I hope you'll stick around for the ride. ...you make lemonade. I've always hated that expression. When I'm in the midst of dealing with a crisis, I can assure you, the last thing on my mind is lemonade--unless that crisis involves being stranded in the desert with no water. Then lemonade is probably at the top of my list of things to think about. But as that type of situation is highly unlikely, it's pretty safe to say, I'm not a fan of the lemonade statement. Sure I get why people say it. It's a witty way to say "make the best out of a bad situation." So why not just say that? See, it was quick and to the point. No lemons necessary. Or perhaps I've given this a bit too much thought??? Well, tough lemons, I'm a blogger. It's sort of in the job description. Back to the meaning of this post. Ah, yes, making the best of a bad situation. It always seems a bit impossible when you're currently in the middle of dealing with your lemony situation. Like for instance, getting fired. I'm sure after getting axed, not too many people smile at their bosses (who've just done the firing) and say "well gee Bob, I've got $25.03 in the bank, but that's cool, I'm sure I'll get everything straightened out before I get kicked out of my house. Guess I'd better start squeezing those lemons!" If I had to place money on it, I'd say that getting fired with $25.03 in the bank tends to lead to curling up in the fetal position on the couch and having a hysterical weep-a-thon. I suppose that's okay. Maybe we all need to have a bit of a cry-fest when the bottom drops out. Cry. Get it out of your system. And then start looking for possible solutions. It's not what happens immediately after we find ourselves in a tough situation that defines us. It's what we do once we've had the time to sort through it. Do we sit down and give up? Or do we calmly get back up, look life straight in the eyes, and say "you hit like a girl." That's where we are now. Life has been kicking us around quite a bit. And that's cool. For now. Because I know, at the end of the day, tough times never last, tough people do. So for now, I'm just going to continue to make the best of a bad situation. One day, when Mr. A and I are old and decrepit, living in our condo in Key West (compliments of our lawyer/doctor/astronaut daughter) We'll look back at these times and smile because we made it. Welcome to week two of my four week blogger help series. Today we'll be discussing simple things that bloggers can do to help make it easier for public relations practitioners. 1. Public relations is not marketing and vice-versa. So, here's the thing. PR is not paid media, it is what we in the business refer to as earned media. Meaning that instead of paying for an ad or commercial, the public relations department has done such a great job selling their story, that they are earning free placement in the media. In reality when you're getting these pitches for sponsored posts, more than likely you are dealing with someone in marketing. These are typically the guys that are given the budget to work with. Of course these days both departments are becoming increasingly integrated so it depends on the company. So basically, don't get angry if you keep getting pitches for "Story-ideas." This is their way of trying to reach out to someone who has access to a specific demographic that they are trying to reach. Besides, taking them up on an offer every once and a while can be a good thing. Remember, 75% of blogging is about building relationships. 2. Make it easy for them. As bloggers, we often times get angry when we open up that generic "Hi there," email but at the same time 50% of us don't have our contact information in a visible location. Make their jobs easier by putting your information in an obvious location. Also, FYI, that cute little contact form you have? Terrible idea. Please get rid of it. 3. Please be kind. A little bit of kindness goes a long way. When someone sends you an offer, and it's a bit less than expected, please be professional. Resorting to virtual tantrums that make Honey-Boo Boo look tame in comparison gives us all a bad name. If you want to be viewed as a professional, you have to behave as one. 5. You can build a negative reputation. Quickly. Fun little fact, PR, marketing and advertising folks talk to each other. And you can earn a negative reputation amongts them quickly. In fact, some of them even have a nice little blacklist of bloggers. You don't want to wind up on that list. Be professional. It takes years to build credibility and only moments to destroy it. I'm in a pretty interesting position. Having majored in public relations in college, and now being a blogger, I sort of straddle both sides of the fence when it comes to working with each other. Since I can see both sides of the situation, I figured I should share a condensed version of everything I've learned in the past four years. This Friday, I'm kicking off my 5 Little Things Series. For the next month, we'll be discussing things that bloggers and PR Practitioners can do to help develop a foundation of trust that can foster a mutually beneficial relationship. We will delve into everything from how to write the perfect pitch to simple blogging mistakes that can be keeping you from attracting brands. Today's post will be centered on 5 Little Things that PR Practitioners Should Know About Bloggers. 1. We have names. Please use them. Yes, I know hunting our names down on our blog can sometimes be time consuming, but you really should do it. Here's why? If I received an offer, any offer that begins with "Hi there", "Hello mommy blogger" (yes this has actually happened before) or "Dear website owner," it's going to be promptly deleted and I will continue on with my day without thinking twice. Bloggers get spammed on a daily. Mostly from shady people wanting to use our blogs to get a quick boost in their page rank. If you approach us in this manner, we are going to assume that you are one of the aforementioned "shady people", and your email will get an all expenses paid trip straight into our trash folder. 2. We don't work for free...Most of the time. Once again, having straddled both sides of the fence I understand the need to reach out to people who could expose your brand to thousands of potential customers. However, on the other hand, many of us have spent years carefully building up our readership and creating a community. If you want access to that community, you are going to have to spend a bit more than that "awesome new kiddie app" that cost 2.99. 3. Treat us as professionals. We take our work very seriously. We consider ourselves to be professionals. Think about this. We have editorial calendars, monthly budgets, media kits, business cards, portfolios, ect. If we turn you down, please don't respond with an angry email telling us how we should be happy that you're even considering us (I've heard the horror stories). It's not professional. At all. Take the hit on the chin and walk away amicably. The absolute last thing you want is a blogger going off to tell his or her friends what just happened. As we all know, word of mouth is a powerful tool. And negative word of mouth can put you out of business. Quickly. 4. We are smarter than you realize. About six months ago I was contacted by a company who wanted me to write a review for them. I had recently changed my domain and because of this, had lost my page rank and Alexa score. However, I still had the same 9,000 readers and followers via social media as before. Imagine my surprise when I was told that they could only pay me $10 for the post because they paid according to page rank? I very politely explained that I had recently changed to a dot.com and that my page rank would be back to normal shortly. After a few more email exchanges, I realized that I was not getting through to them, so I very politely declined the opportunity. PR people, here's the deal. You know those fancy conferences we pay big bucks to attend? Well during those conferences we spend a lot of time discussing you guys. We know how to use all kinds of fun little programs like Goggle Analytics and Tweet Reach to calculate how far our reach is. Consider this, I have 5,400+ followers on twitter. This week, my 100+ tweets reached 72,703 accounts and made 102,290 impressions. That was just with my twitter account. Not even including my blog, Instagram, Pinterest, Facebook and Google+. The point is, we're onto you. Proceed with caution. 5. We cannot and will not use follow links on our blog. You may get away with it every once in a while, but most of us know by now that follow links are a no-no. We understand that by using follow links on sponsored content, we are potentially risking being black listed by Google. We go to conferences where we discuss these things. We chat about this with our blogger buddies. It's shady. It's wrong. And is shows that you are not the least bit concerned with throwing us under the bus in order to make a few quick bucks. Please stop it. 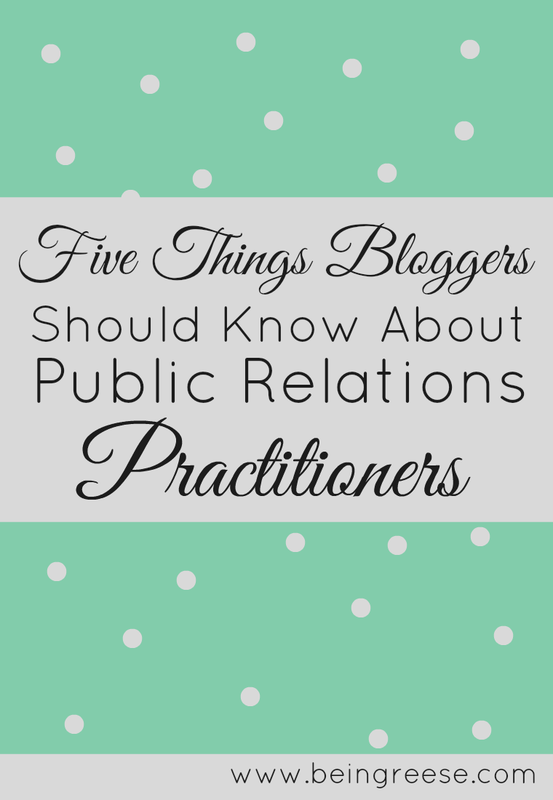 So there you have it, 5 things PR practitioners should know about bloggers. What do you think bloggers? Have you ever experienced any of these situations? 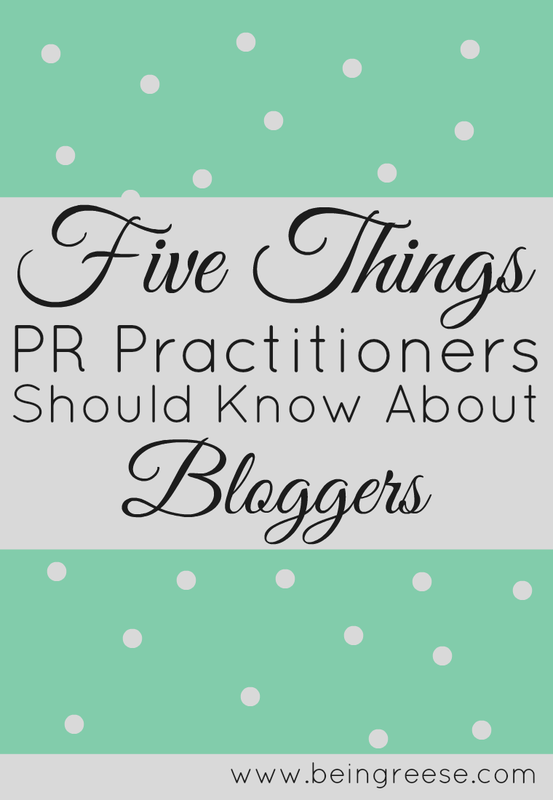 Be sure to come back next Friday for 5 Things Bloggers Should Know About PR Practitioners. 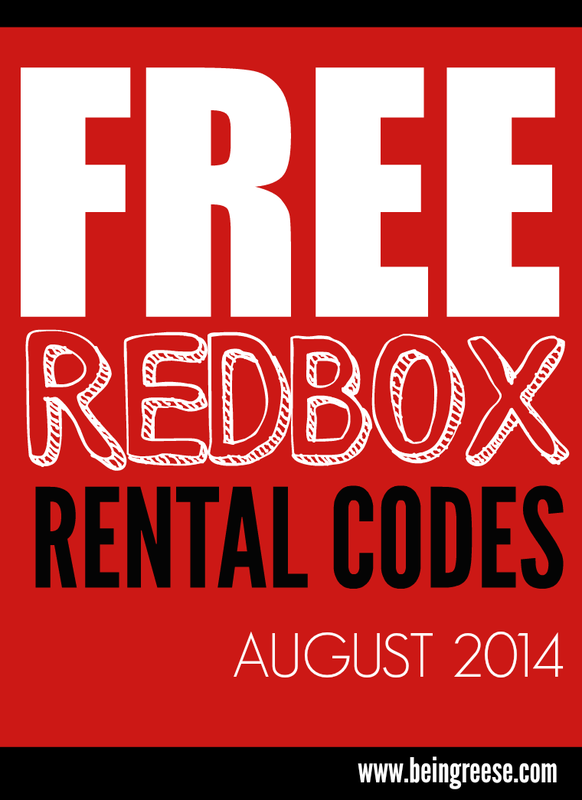 The weekend is nearly here and I've got a few more Redbox freebie codes to help get you through the next few days. These codes expire soon, so please pay extra attention to the expiration dates. I received a few nasty-grams about the codes having expired in my last post, so I would just like to give a bit of forewarning, these codes expire QUICKLY. I do my best to include all dates, but sometimes that's just not possible. Before heading off to a Redbox, I will typically write the codes down on a sheet of paper, that way if one code doesn't work, I can easily move on to the next. No muss, no fuss. As always, if you find a code on the list that no longer works, please let me know and I will add an update to inform my readers that the code is no longer available. 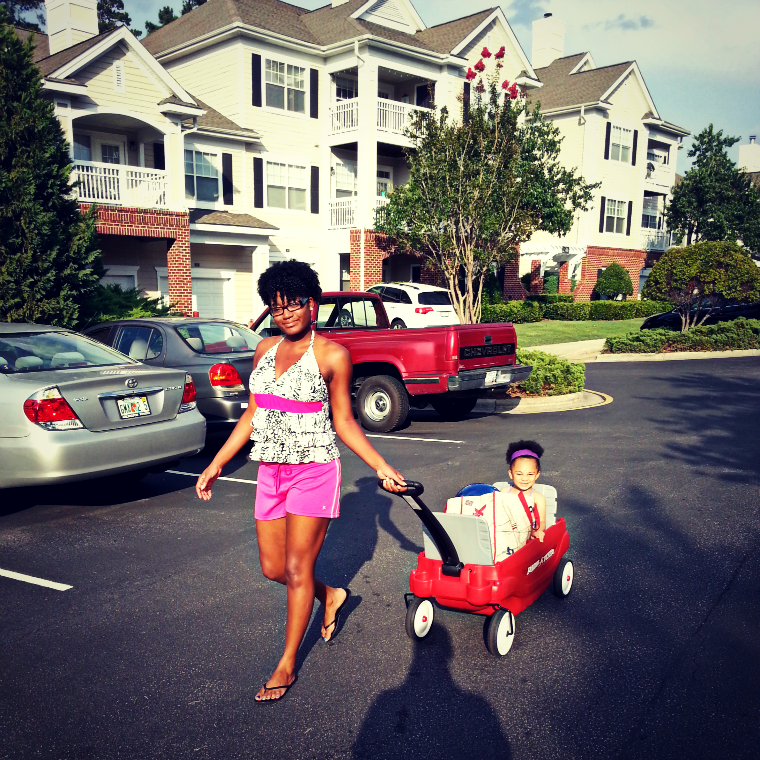 Enjoy your rentals, but most importantly enjoy your time with your family! As a formerly broke college student/ currently somewhat broke post-grad student, I like making money. More importantly, the bill collectors like it when I make money. A few months ago I stumbled onto SponsoredTweets.com, an online marketplace that connects you directly with advertisers looking for tweeters to help promote their businesses, products or services. 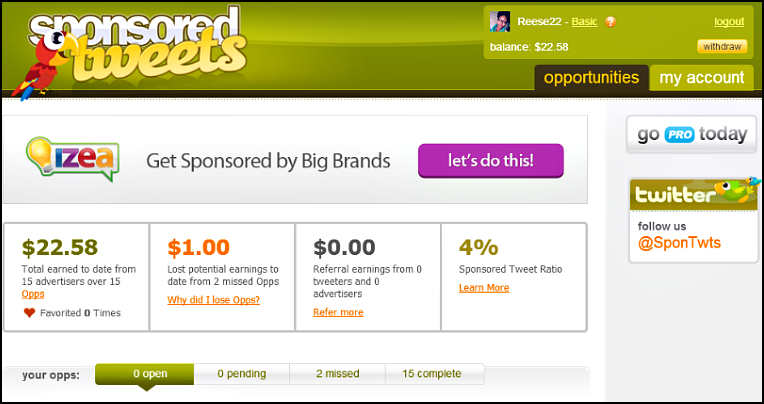 Simply put, SponsoredTweets.com literally pays you to tweet. Like most of you, I originally thought this was a scam. After all, if it sounds good, looks good, and is on the internet, then it must be untrue. Luckily for me, I decided to give it a test run. After a few days, I was pleasantly surprised to find that this was, in fact, a legitimate revue steam for twitter users looking to expand their horizons. The best part? It's so easy to use. Simply sign up, set your price, and wait for the offers to roll in. When advertisers post opportunities that match the keywords you have provided in your profile, they are sent your information. If they are interested, they will send you a notification of the opportunity. If you feel the tweet doesn't fit your voice, or is inappropriate for your readers, you can simply choose to decline the opportunity. However, if you are interested, you have up to three days to respond to the opportunity before they move on to someone else. Make sure to enable click-watch. Clickwatch is a program that retweets your tweet if it doesn't get enough clicks and advertisers love it. You are ten times more likely to get more opps if you are enrolled in the program. Don't go above the suggested price. 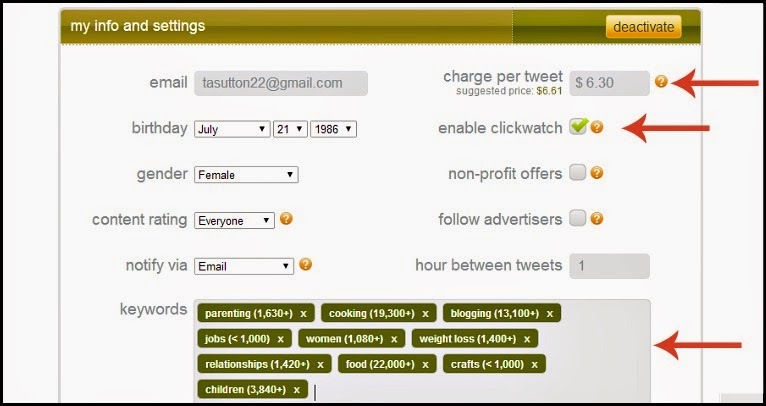 The suggested price is calculated based on the amount of Twitter followers you have. Since starting the Sponsored Tweet program, my suggested tweet price has grown from $5.00 to nearly $7.00. Not bad. Be sure to choose your keywords wisely. You're only allotted ten key words per profile, so choose the ones that best fit you and your audience. Build up your Klout score. The better your Klout, the more likely you are to receive opportunities. Always. Always. Disclose. This is a biggie. Though the #spon hastag is always included in your tweet, make sure you don't remove it. Failing to disclose that you are tweeting an ad can land both you and the sponsor in big trouble. 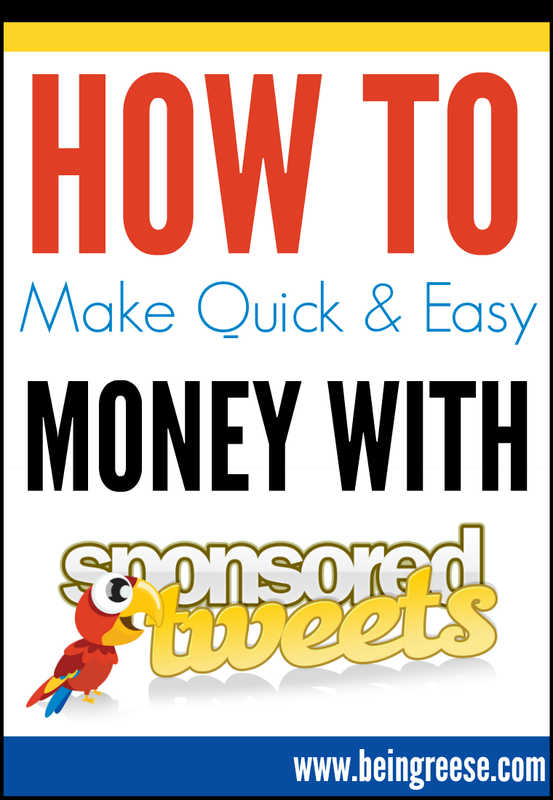 So there you have it, a quick way to tie in your love of the twittersphere with making money. Remember, this is not a get rich quick scheme. I can't promise that you'll end up raking in tons of dough, but the one thing I have learned from monetizing blogs is: don't put all your eggs in one basket. Find multiple sources of revenue. Make your blog make money for you. Join Sponsored Tweets today! Not bad for a days work. Happy Thursday! If you follow me on Instagram, you know my latest passion is finding ways to transform fresh fruits and veggies into delicious drinks. So many of you seem to enjoy my juice recipes. However, a few of y'all have mentioned that you only have blenders. Today, I've got you covered. 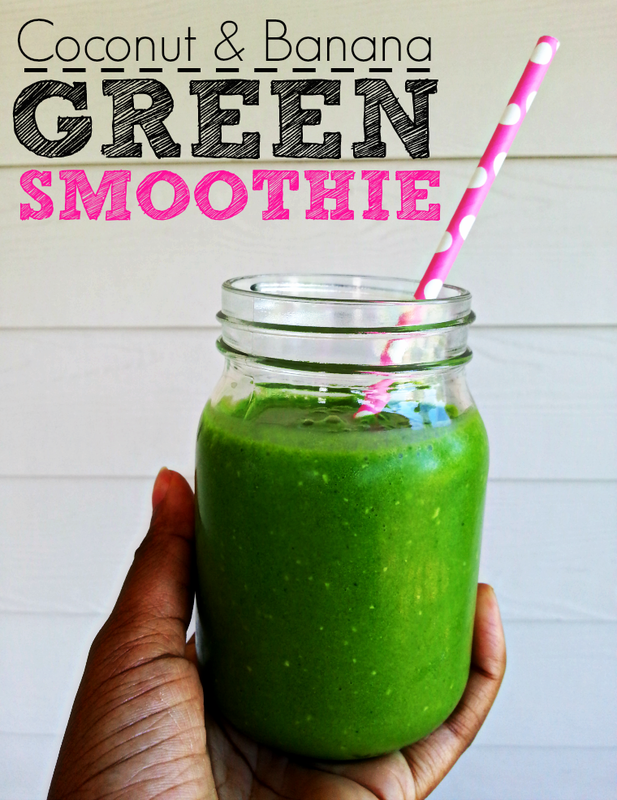 The Coconut and Banana Green Smoothie is one of my absolute favorite smoothies. Why? It's packed with fruits, veggies and is downright delicious. And the best part? It's super filling. 10-12 oz of this will keep you turbo charged for hours. And because it contains bananas, this is a great drink to fuel your workout. I'm a big fan of green smoothies. While fruit smoothies are healthy (in moderation) I like knowing that I'm taking in those good ole healthy leafy greens as well. If you're looking to use smoothies or juice for weight loss, you have to be mindful of the calorie count. Fruits contains loads more calories and sugars than vegetables. An entire bag of spinach contains less calories than just one banana. So be careful when you start packing in the fruits. You can actually gain weight without realizing what you're doing. 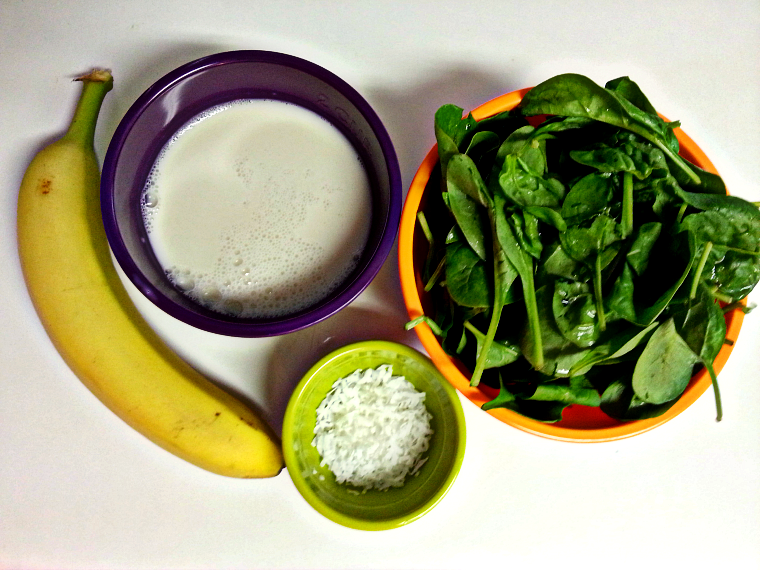 I tend to start off blending my milk and bananas first and then adding the spinach and coconut flakes on top. Make sure you blend well to remove all the chunks. This recipe makes about 16 oz of smoothie. As always, if you enjoyed this recipe, be sure to hit the pin it button on the top left hand corner of the top image (hold your mouse over the picture and the button will appear). Be sure to stop by next week for some more healthy and delicious drinks that will help you shed pounds and keep cool this summer! Yes, you read that title correctly! As of today, I am the proud author of Utilizing Social Media For Blogging, a how to guide for effectively using social media to increase blog traffic. My ebook is currently available on both Amazon Kindle and the Nook via Barnes and Noble. If you are looking to monetize your blog, by now you are aware that in order to make a profit from your blog, you have to first have traffic. Although SEO plays a large role in generating traffic for your blog, it is not the only way. Social media can be a highly effective source of traffic for your blog, but it takes time to learn how to navigate the social media realm. 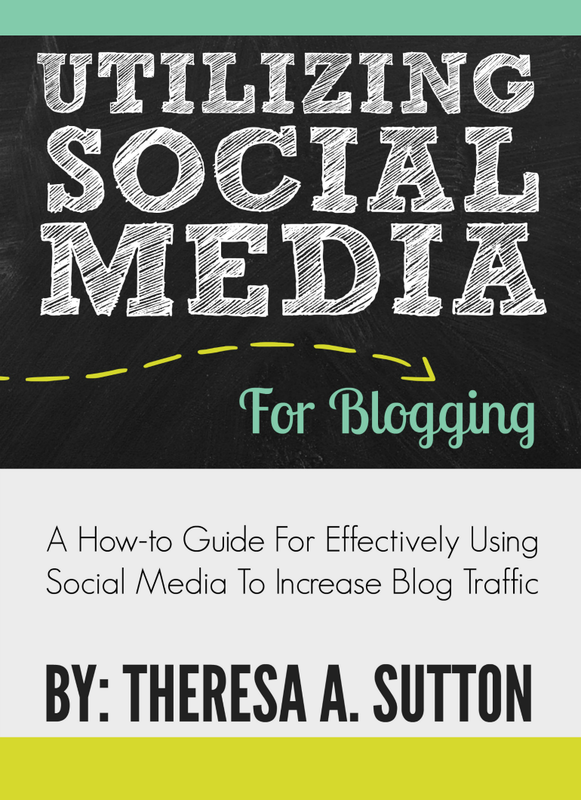 This book will help you turn your social media platforms into a direct tunnel to your blog, increasing your blog traffic exponentially. Utilizing Social Media for Blogging is JAM PACKED with useful information to help you use social media to grow your blog traffic, and all the content in the book is brand spanking new, so it's not something you're going to be able to find on my blog. You can currently purchase it for $2.99. That's even less than a tall cup of coffee at Starbucks! For years, one of my biggest personal goals was to become a published author. When I was in high school, I was published twice in a book that was circulated all throughout the DODDS (Department of Defense Dependent Schools) in Europe. From that point I realized I wanted to do more. I could do more. Enter blogging. The written word has always been a passion of mine, so it would seem logical that I would find a safe space to share my words with other. And after almost three years in the blogosphere, I've read so many amazing stories from people who had fulfilled similar goals that I thought, "Why not me?" And so I did. I've been working on this for about a year on and off. Whenever I had a quiet moment to sit down and research or write, I took advantage of it. Admittedly I could have finished sooner, but as we all know, life gets in the way. Luckily, it was always just temporary. So what next? Finally following through with publishing a book has been a motivator like no other. Now that I've gone through the process, I know what to expect the second time around. I can't promise that it will be soon, but I can promise that I WILL publish another book. I encourage you all to purchase a copy. As I mentioned before, it's extremely affordable. Three years of blogging has taught me that if you ever want to grow your blog, you have to invest in it. Think of this as a small investment in your very bright blogging future. If you have any questions, shoot me an email to tasutton22@gmail and we'll talk! Disclaimer: As a SwimWays SwimSteps Ambassador, I was given products for this review. However, as a mother I completely stand by my thoughts and opinion in regards to SwimWays products. 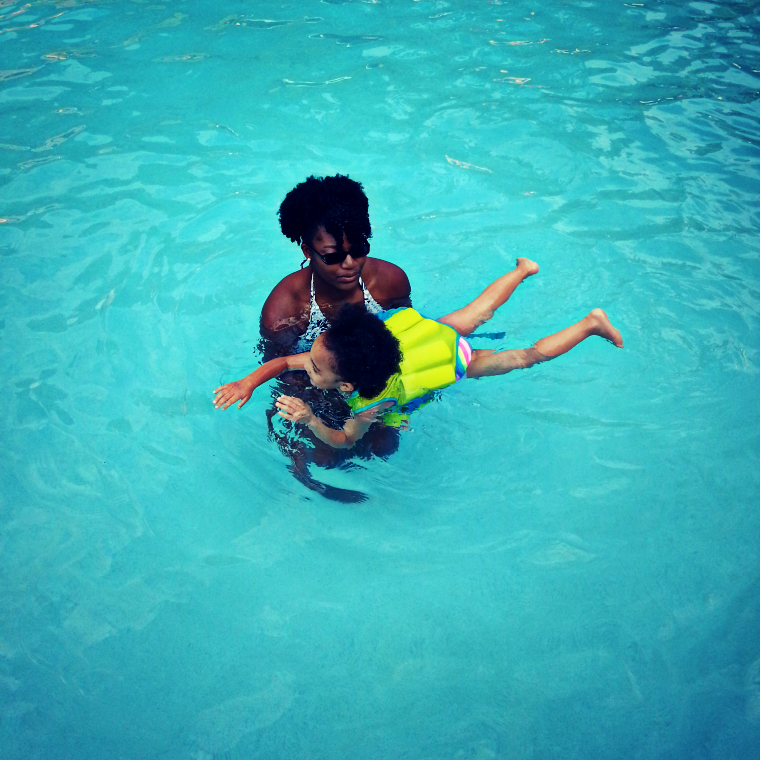 As a mother, child safety in and around the water is extremely important. Every time I hear a story about a child drowning, I want to lock Little J in her room and forbid her to go near a pool. But realistically I know that's not the answer. Truth be told, the best way to prevent your children from drowning is to help teach them how to swim at a young age. Recently we have seriously stepped up our efforts to teach Little J how to swim. Luckily, my friends at SwimWays have helped us along the way. For the next few months I'll be discussing water safety and sharing different tips and tricks on how to help encourage your toddlers to swim. This particular post will be centered around phase one of our swimming journey, floating. We started Little J off by teaching her how to lie flat on her back on the ground. Parents of small children know that this alone can be quite an accomplishment. Once she felt comfortable lying still on her back, we moved to the tub. We spent a few minutes each day for about a week helping her become more comfortable lying on her back in the tub (without splashing, another huge accomplishment for a toddler). 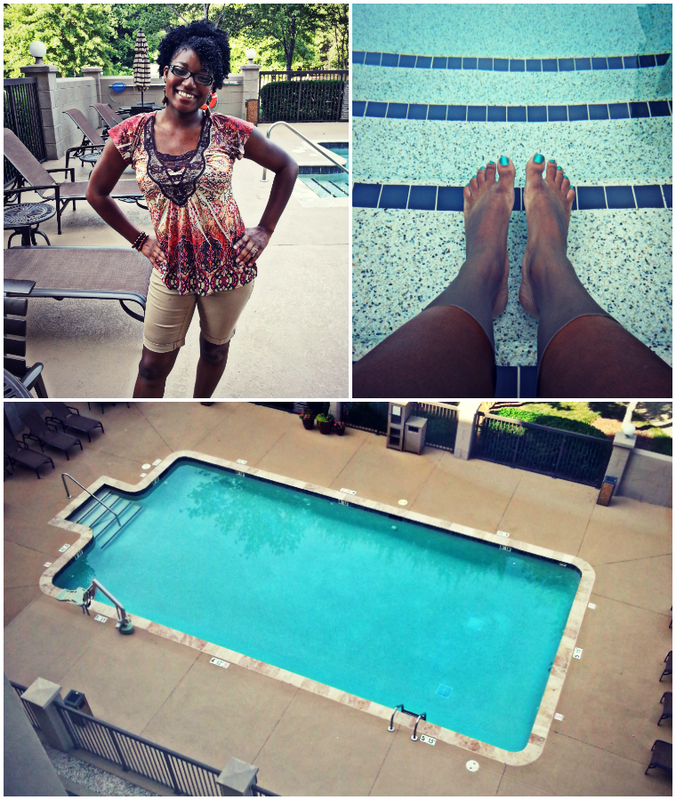 Once she felt comfortable, we packed up our gear and headed to the pool. After tying (unsuccessfully) to help Little J feel comfortable enough to lie back in my arms in the pool, we decided that the next day we would put her in her swim vest to help her overcome her fears. And it worked like a charm! It gave Little J the confidence she needed to lie back while also alleviating my fears. The next trip to the pool went much smoother. We started off by letting her get comfortable with floating on her stomach before we moved on to floating on the back. Though we're not officially out of the floating stage, she has improved significantly since her first attempt, we plan on taking weekly trips to the pool until she is. We're one step closer to keeping our daughter safe in the water. And as a mother, that is an incredibly satisfying feeling. 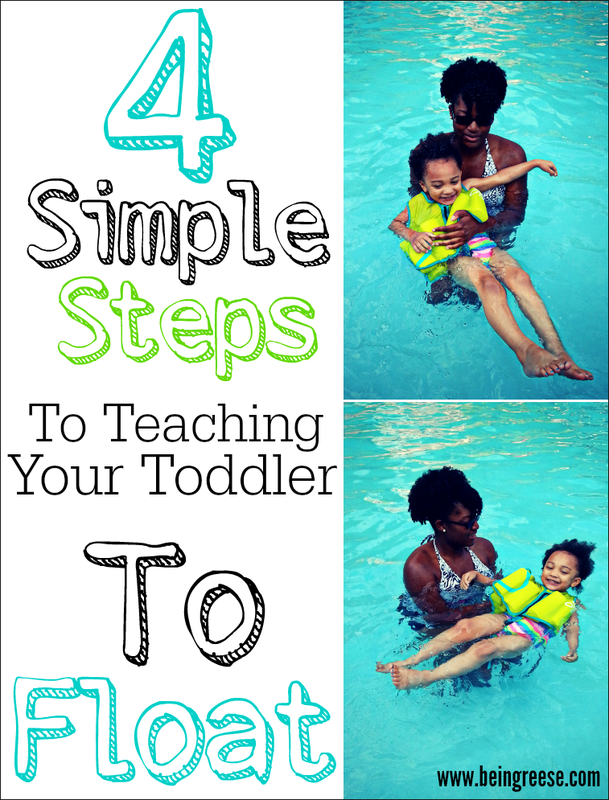 Now that you've read about our adventures in floating, here's a quick refresher on teaching your toddlers how to float. People often assume that floating is a basic instinct, that it comes naturally, however, in reality, it can take tons of practice, even for adults. For children, it can be especially difficult since they are less buoyant and often times less comfortable in the water. 1. Swim coaches often times recommend having your children lie down flat on their back on the ground first so that they know how to position their bodies without having to worry about the water. 2. Once they feel comfortable practicing the floating position on the ground, try putting them in the bathtub, this will help them to prepare for the pool. Once you've conquered both the ground, and the bathtub, it's time to move onto the pool. 3. 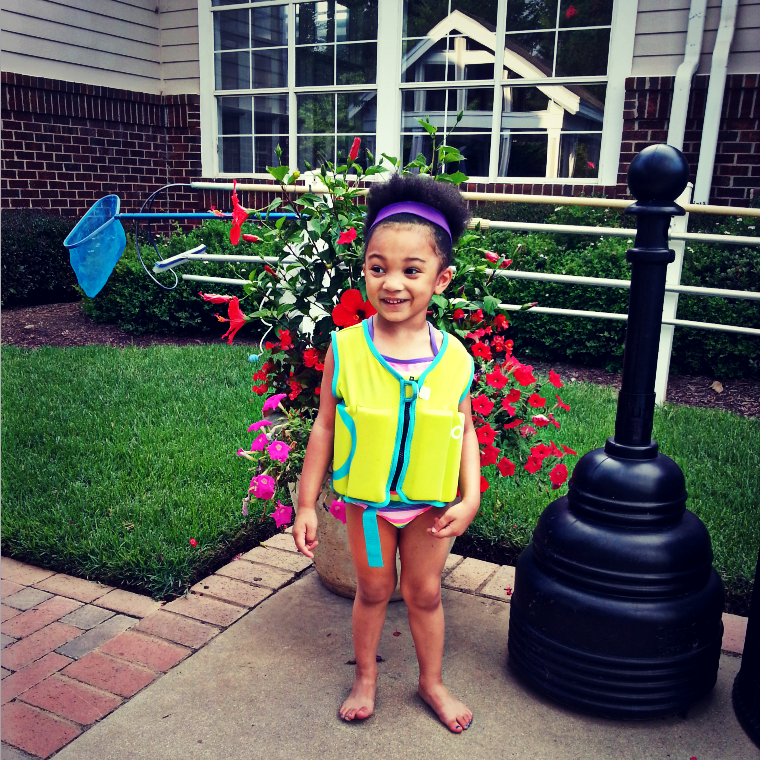 As we found out with Little J, putting your child in a swim vest can help to alleviate their fears of sinking. This also allows them to learn how to properly balance their bodies so that they stay afloat once the vest comes off. 4. Allow your child to become comfortable at his or her own pace. Rushing them can lead them to develop a fear of the water. Let them learn at their own speed. Want more useful swim tips, be sure to tune in later this month for phase two of our swimming journey! Summer is officially in full swing. Now that your kiddos are home 100% of the time, your grocery and restaurant bills are probably feeling the burn. That's okay, I've got you covered. 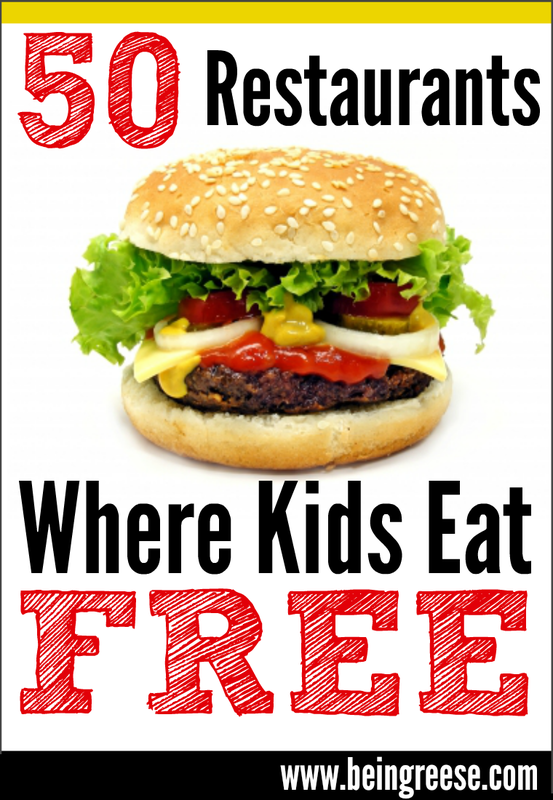 This list contains 50 major restaurants that offer free kids meals. Keep in mind that some exclusions apply and each of these deals varies by location. It's best to always call ahead of time to avoid confusion and misunderstandings. If you enjoyed this list and find if helpful, I ask you to hit the 'Pin It' button in the top left-hand corner of the image above (button appears after you place your mouse over the image) and share this on Pinterest. Now onto the fun stuff! As a child, the majority of my time was split between climbing trees in our neighborhood, and getting lost in the woods with my sister. I suppose when you grow up surrounded by soldiers, you tend to become a bit of a tomboy. It comes as no surprise that Little J is following directly in our footsteps, and has taken quite a liking to the woods-- a fact that both thrills and terrifies me. This weekend I decided to surprise my sister with an impromptu trip to Raven Rock Park. Unfortunately, we arrived just as the heat was reaching it's peak, and neither of us were really dressed for the occasion, so our visit was pretty brief. Still, it was a chance for us all to get out and get a spot of fresh air. It also gave me a chance to test out my birthday present, compliments of Mr. A. Clearly I have a bit of work to do with my camera. Although I took three levels of photography in high school, back then we were still using regular SLR camera's so shooting on a digital camera is taking a bit of getting used to. However, my sister is a photography wiz so I'm looking forward to learning from her. Now that I've got a DSLR, I'm sure you guys can expect to see more, hopefully better, photos of me and the fam. I've got plenty photography tips on my Pinterest boards, but I'm hoping some of you guys will throw some tips my way. What are some of your best photography tips? What type of camera do you shoot with? 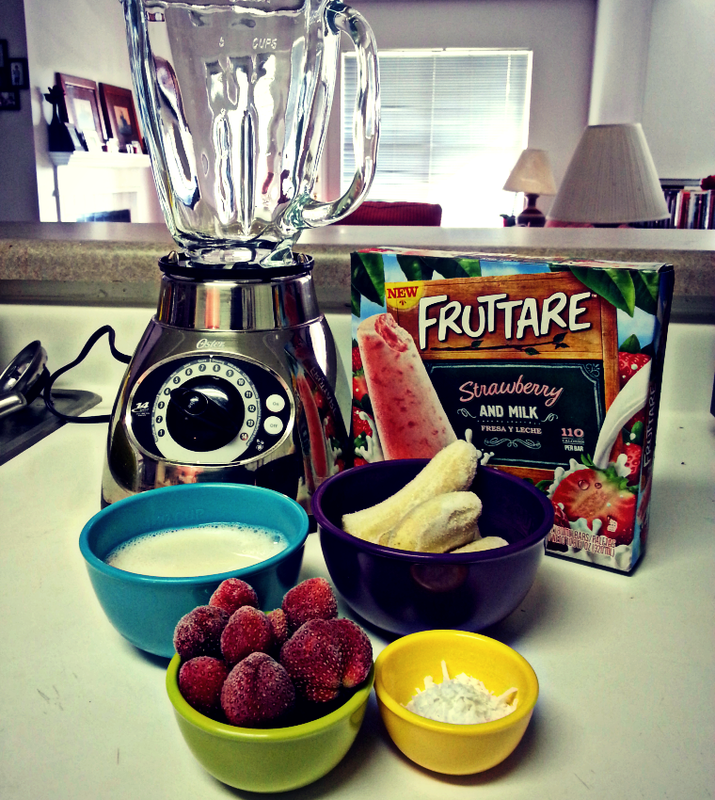 Riddle: What do you get when you mix a Fruttare Fruit Bar in a blender with strawberries and bananas? Answer: A ridiculously good time! I've never been one for riddles, but this one is simple. And delicious. Lately Mr. A, Little J and I have been on a smoothie kick. When you have a three year old, you’re always on the hunt for ways to enjoy a sweet dessert without creating a mess. Enter the smoothie. If made correctly, not only is it packed with fruits and veggies, but it's virtually mess free. It’s a win-win for everyone. If you're a fan of strawberries, bananas and coconuts, you'll love this refreshing smoothie. It's mouthwateringly delicious AND healthy. My secret ingredient? 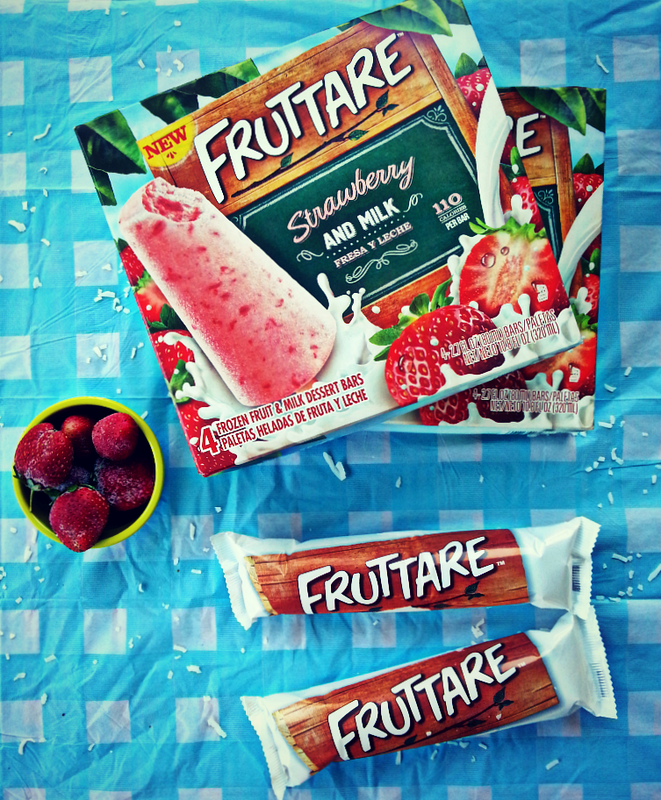 Fruttare Fruit Bars. Fruttare Fruit and Juice Bars are packed with real fruit, creamy milk and refreshing juice. Though I kept it simple with the Strawberry & Milk bar for my recipe, they have plenty of flavors to choose from, like Pineapple, Lime, Mango and Black Cherry. I've been experimenting with this smoothie for the past week. 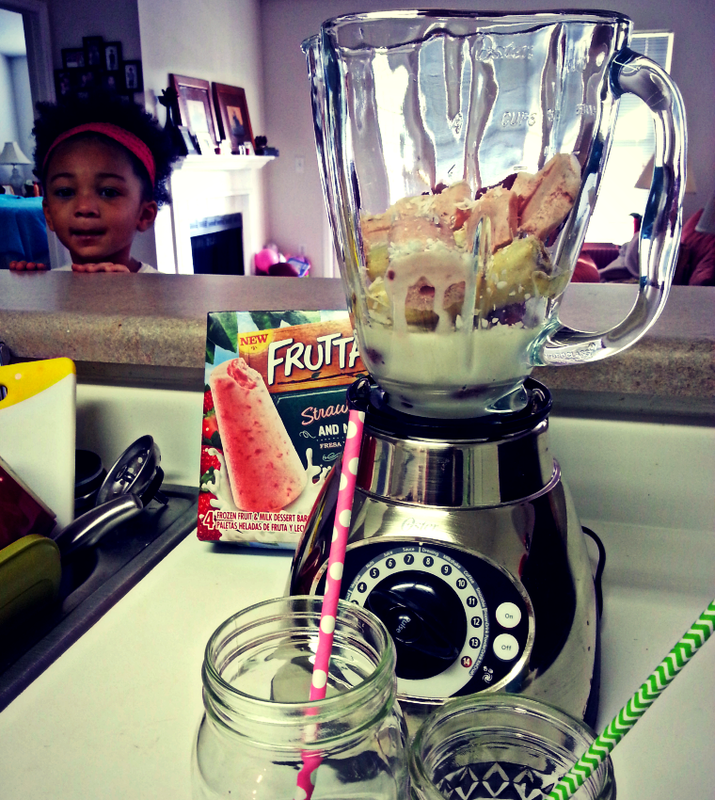 Originally I tried the Peaches & Milk Fruttare Bar, but Little J eats strawberries by the carton so I know I can always count on having a few containers of strawberries lying around for this recipe. 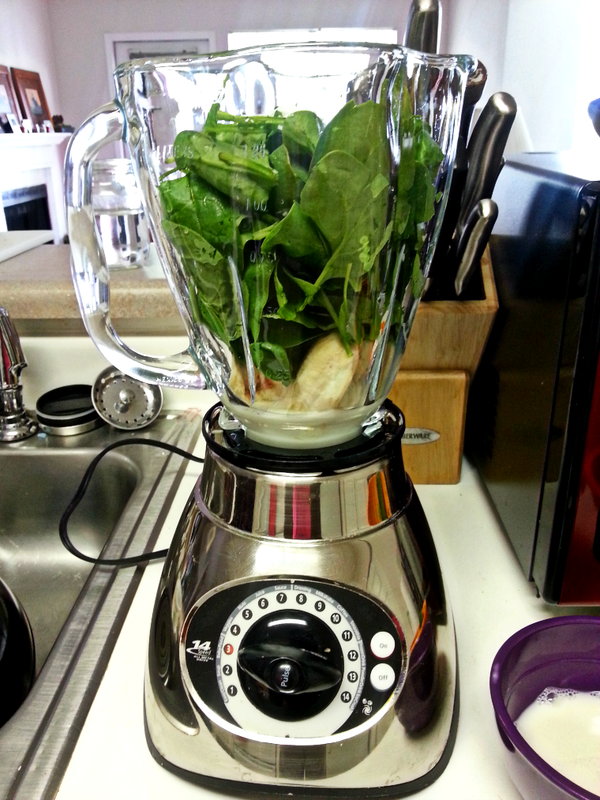 I added a bit spinach and it taste just as awesome. 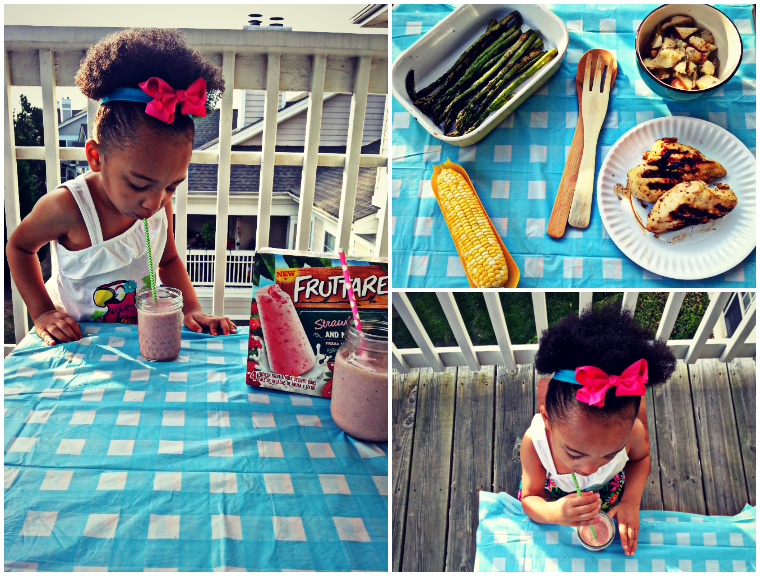 The sweetness of the Fruttare Fruit Bars gives it just enough flavor to hide those veggies from your kiddos. For the purposes of this recipe, I kept it pretty simple. This way you can add to it and subtract as you see fit. 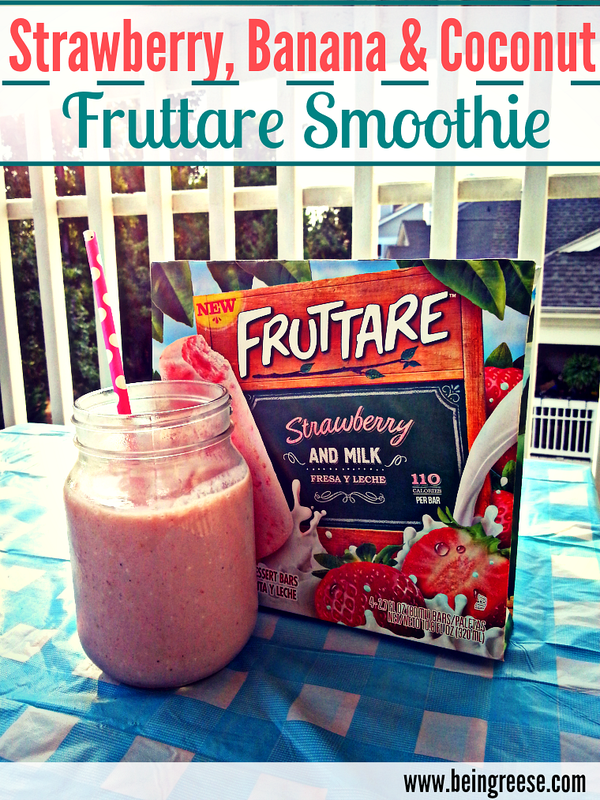 Last night we enjoyed our dinner and Fruttare Smoothie from the comfort of our balcony. 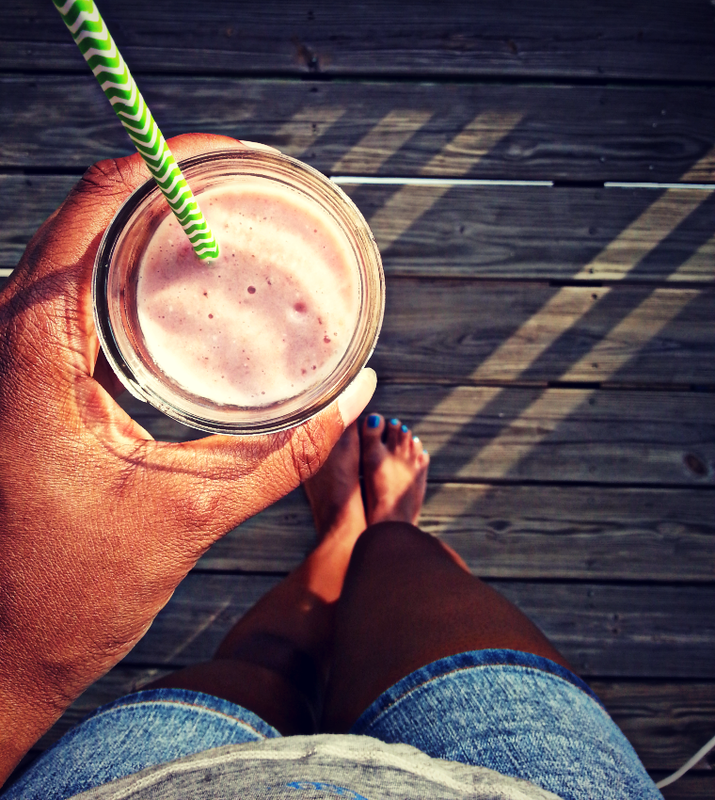 There's something about the fading sunset, bare feet and smoothies that make me feel at home. Because I believe that sharing is caring, I want to share a sweet deal with you guys. From now until July 31st, buy one Fruttare item and redeem a Music Award (valued at $4.00) This offer is good while supplies last so be sure to head to your nearest Krogers and snag a few boxes. Want some more sweet ideas? Follow Fruttare on Instagram and Twitter for fun recipes and ideas on how to beat the heat this summer. Disclaimer: I was given a discount for our stay at the Hyatt Place, however, all thoughts expressed in this post are an accurate reflection of my opinion of Hyatt Place. If you've been keeping up with my Instagram feed, you know I've been a busy little bee these past few weekends. Since Mr. A returned home from training for the National Guard and I was invited to cover an event in Charlotte, we decided to stick around for an extra day and enjoy the city. We're pretty frequent travelers so we know our way around the hotel scene well enough to know which hotels to avoid and which ones to frequent. 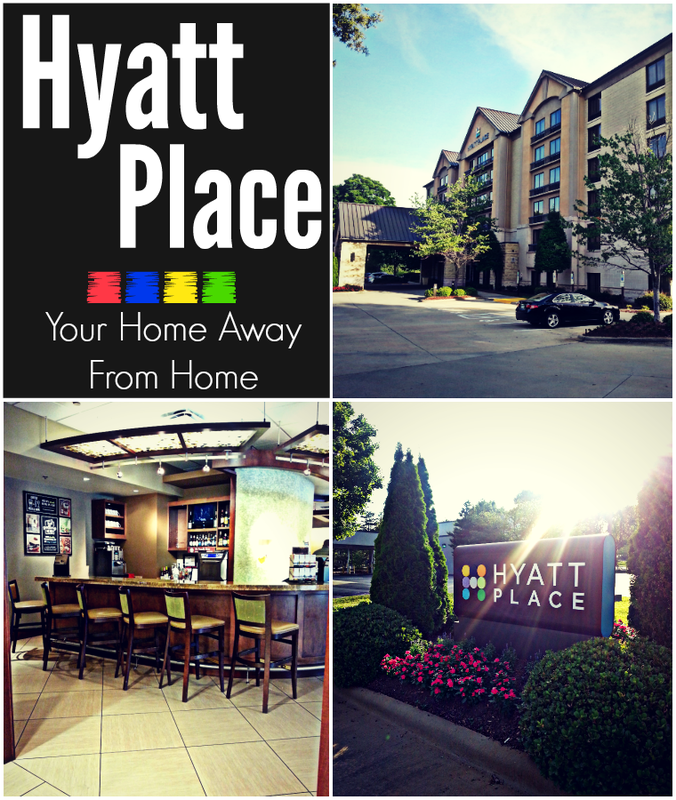 While in Charlotte, we stayed at the City Park Hyatt Place, a.k.a our home away from home, it definitely falls into the latter category. 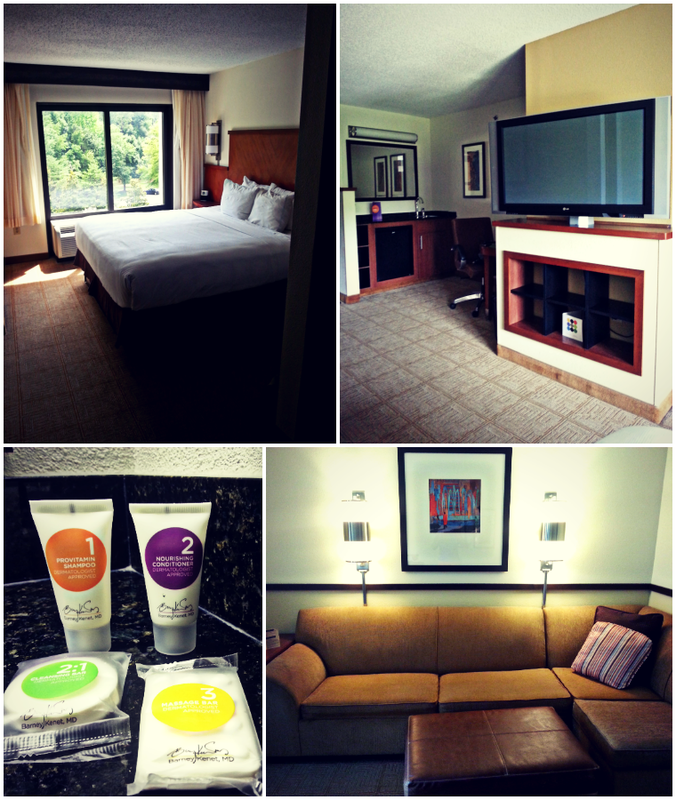 Hyatt Place is equipped to accommodate just about your every whim. Which is great for people like me who forget something every. single. time. Seriously, I could pack a week in advance and still manage to leave something behind. I suppose it's part of my charm. But seriously, Hyatt Place? They think of everything. Forgot your toothbrush? No problem. Left your cell phone charger? Borrow one of their universal cell-phone chargers. Feel like a nightcap but don't have a designated driver? Go hang out at their bar downstairs. And then of course, there's the breakfast. My favorite meal of the day and biggest guilty pleasure. Mr. A and I woke up extra early and made a mad dash to their dining room so we'd have plenty of time to enjoy ourselves. It's not often we have a Little J free breakfast, so when we finally get the chance to enjoy a nice quiet breakfast, we tend to go full-throttle. This morning was no different. Though sadly we didn't have time to take advantage of their fitness room, they've got all the goodies that gym rats, such as myself, enjoy. Treadmills, free-weighs, benches, and even a gorgeous outdoor pool for you to relax in after your workout session (after you've taken a shower of course because ewwww). The rooms themselves are perfect for weary travelers looking for a place to rest their heads. The interiors are very modern and sleek, which is a welcomed break from the floral patterns that typically adorn the inside of most hotel rooms. Call me spoiled but I hate hotels that look as though they were last redecorated at the mid-turn of the century. Both Mr. A and I have stayed in many a hotel bed, but this one was ridiculously comfortable. The sheets were soft and lush, and the best part? They weren't scratchy. 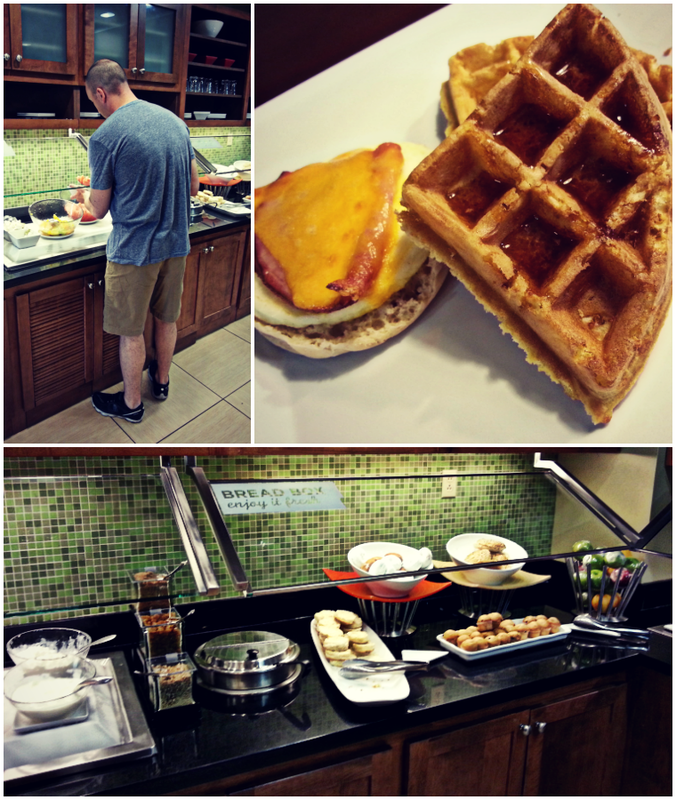 Since we've previously stayed at a Hyatt, we pretty much knew what to expect, but even still, we were pleasantly surprised to discover they had added in a few more perks for their guest, including a coffee/bar area and a small bakery. All and all we had a fantastic stay! Mr. A and I have already made plans to return to Charlotte next month, and we already know where we will be staying. If you're interested in finding out more about the City Park Hyatt Place, be sure to check out their website. Be sure to sign up for their Gold Passport reward program for exclusive deals and savings! I'm actually watching The Bachelorette. This is big if you know anything about me. I typically hate all reality shows. I have no idea who the Real House Wives of Atlanta, Florida, Orange County, or Chicago are, I just know that the level of drama on those shows far exceeds my level of patience. For now, the Bachelorette seems more my speed. Minimal drama, amazing dates, candle lit romance. Yes please. My parents officially get the "Best Grandparents Ever Award." 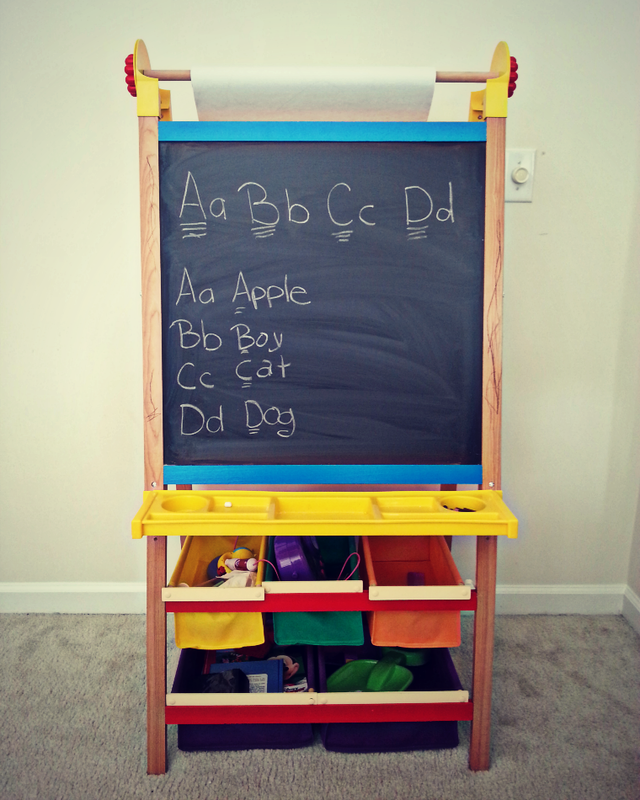 A few months back they purchased this amazing chalkboard/whiteboard easel for Little J. This is amazing for two reasons, One: it cuts down on Little J's attempts to decorate our walls--with permanent markers and/or crayon and colored pencils. Two: It's a great learning device. It also comes with additional storage space! 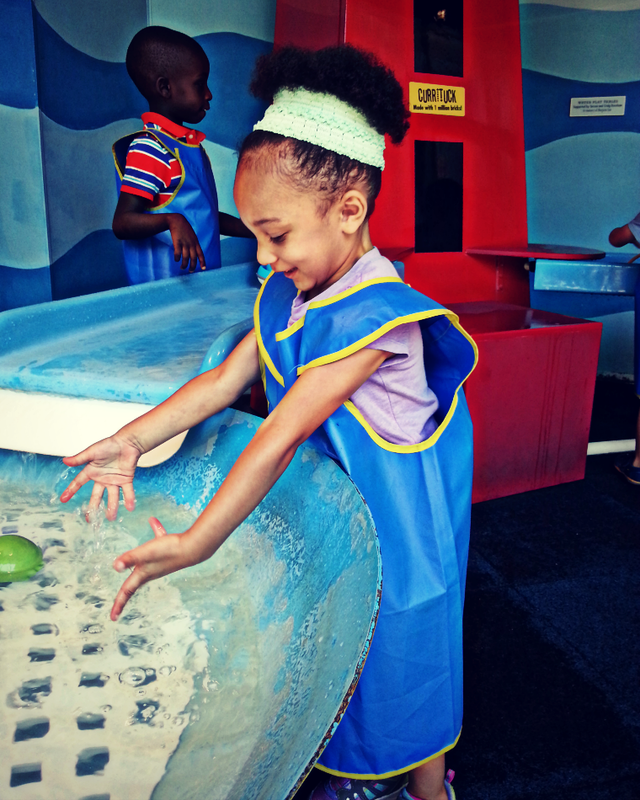 Speaking of education, Mable Kids Museum in Raleigh, two words: AMA-ZING! 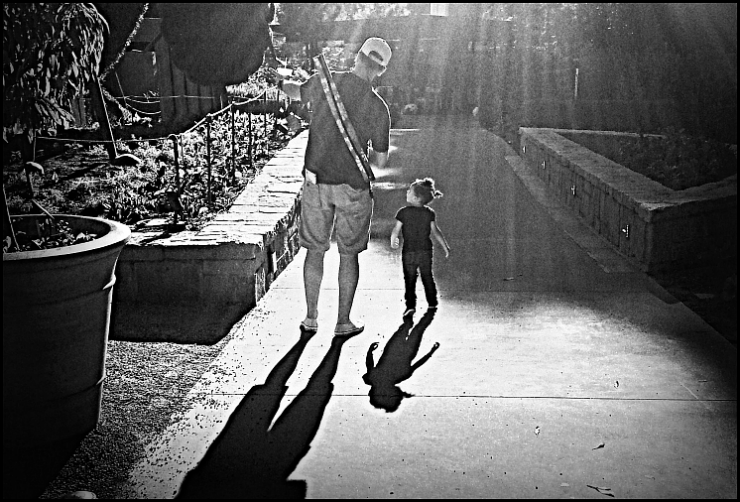 We took Little J there this past weekend and were blown away by how incredible it is. Expect loads more from that later! If you follow me on Instagram, I'm sure by now you've noticed an influx in juice/smoothie related posts. Since Mr. A is required to maintain certain fitness/health standards for the National Guard, we've been making strides to take better care of ourselves. The major upside is it's a great way for us to trick get Little J to eat her veggies. She absolutely loves her spinach smoothie and I absolutely love the fact that she's eating her greens without having to basically tie her down. It's a win-win for everyone. I recently discovered Humans of New York on Facebook, and I'm in love. I've always been an avid people-watcher, so I was immediately drawn to this page. I think the creator of this site has done a marvelous job at capturing the beauty and diversity of the streets of New York. It sort of makes me almost want to move there. What sorts of things are you loving lately? Any interesting new Summer TV shows? New recipes? Leave links below for me to check out. Once upon a time, Mr. A and I watched Fat, Sick and Nearly Dead...and then promptly went and purchased our first juicer. For more than a year now, we've both been pretty active juicers. Though we haven't done anything extreme--like go for more than 2 weeks only drinking juice, we've started to add juices to a regular part of our diet. This recipe is one of my latest experiments. 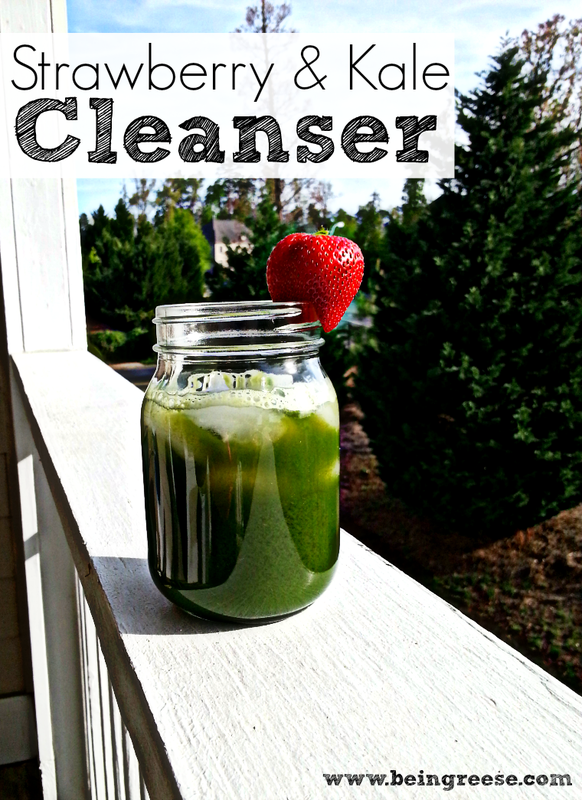 Like many of my other juices, one of my favorite things about the Strawberry Kale Cleanser is it's health benefits. As small as they are, Strawberries are packed with nutrients. They are also low in calories. So if you're juicing for weight loss, a handful of strawberries will give your juice flavor without packing on the calories. 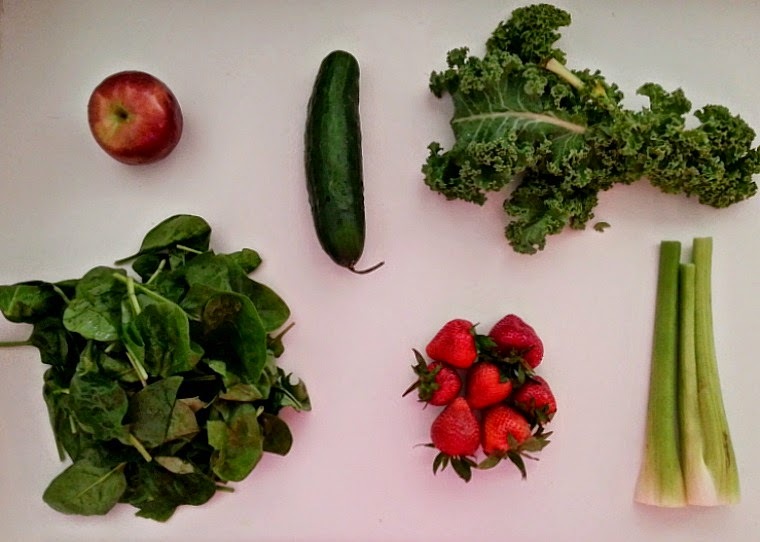 Kale is another of my favorites to juice with. Like strawberries, it's packed with a wide array of nutrients. Though kale was once considered one of the more unpopular vegetables, in the past few years, it has been growing in popularity. Mostly because it's natural flavorful and taste great in any form, juice or otherwise. The list goes on. The point is, both of these fruits and vegetables are vital to your health. And the best part, they're both incredibly tasty. Especially when you combine the two and tun them into a juice. The instructions are the same as always. Wash each ingredient thoroughly. Kale is especially difficult to clean, so you may want to soak them for 10-15 minutes to ensure that you've removed all the dirt. Run each ingredient through your juicer. Serve in glass with plenty of ice. Enjoy! As always, if you give this recipe a shot, come back and let me know what you thought of it.